Billy Duffy of the Cult has one of the most unique and recognizable signature tones in the world-- Tone Report looks at the tools he uses to get it. Tone Report looks at the iconic guitars of iconic Beatle George Harrison. There's more to Keith Richards' guitar collection than just Micawber. 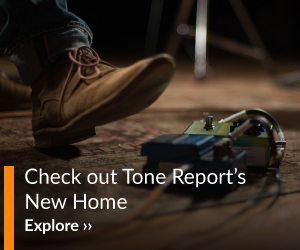 Tone Report looks at his iconic instruments. Daniel Brooks looks at the tools used by garage rock maestro Dan Auerbach to get that great Black Keys' tone.